The term “speakeasy” is thrown about quite a bit these days. Odd, in a sense, because the meaning of the word represents Prohibition, when speakeasies were secret drinking places, hidden away, offering an illegal chance to partake. So how has the term suddenly become so popular again? I feel like my generation has a coolness gap. 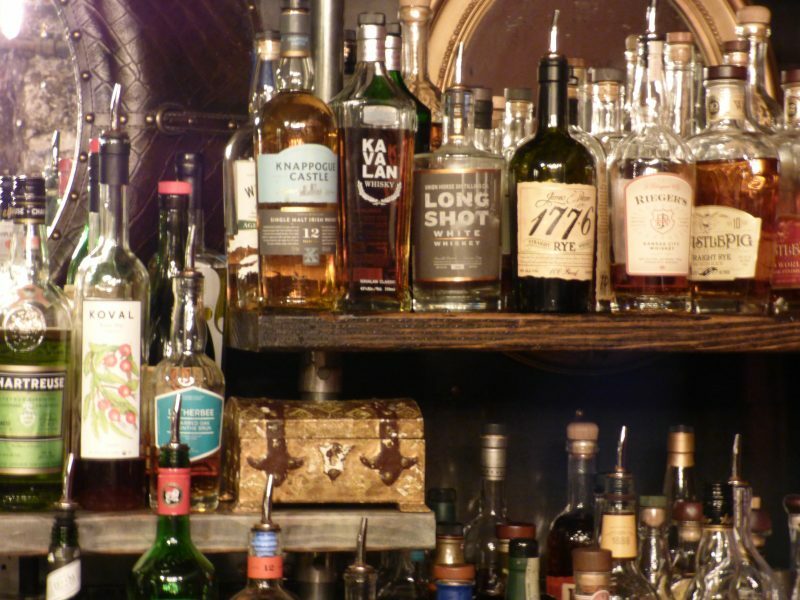 I’m old enough to remember hearing about speakeasies, those illicit establishments (also known as blind pigs or blind tigers) selling alcoholic beverages, but too young to have experienced one firsthand. Now, the speakeasies are back, even if their meaning has changed somewhat. Perhaps it’s an affinity for the past, when even though liquor was hard to find, times were slower and drinking involved camaraderie, conversations, and connection. Now speakeasies reference bars with a retro style—and ones that are usually hard to find as well. 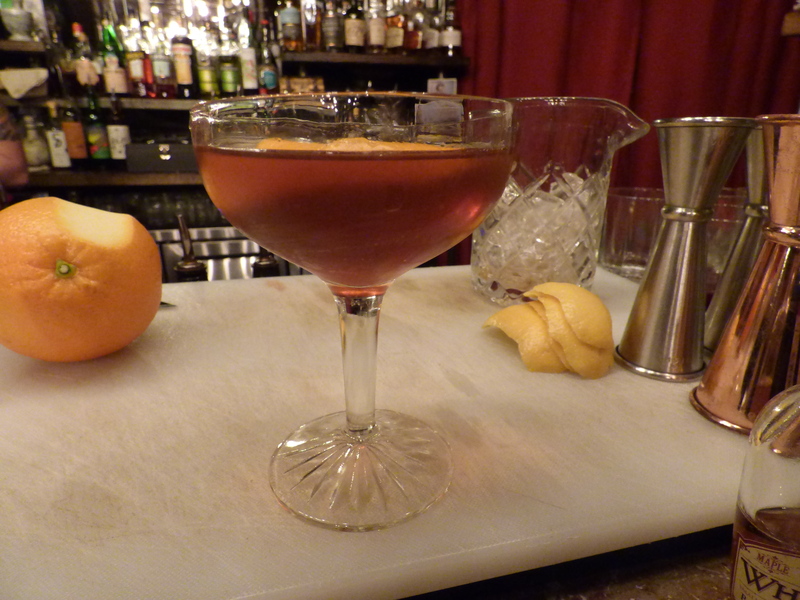 The word “speakeasy” refers to the hushed tones used when telling another about the location. Hushed tones are no longer necessary, but the thrill of finding an out-of-the-way bar can still bring back feelings of the past. Swordfish Tom’s, located in the Crossroads District in Kansas City, Missouri, is one such place. Owner Jill Cockson says she doesn’t call her bar a speakeasy, but it does have the makings of a unique spot to connect over a craft drink. The Other Room became Cockson’s inspiration for the bar she wanted to create. She watched and learned about their utilization of a small space. She watched as this progressive (for Lincoln) bar excelled. “People said you can’t do this… We didn’t sell beer or wine, it was all craft cocktails, in a tiny space, and we didn’t cater to the football crowd. But it worked. I had the opportunity to test the theory of someone else. So when I got the opportunity to create a similar concept here, I came to Kansas City,” Cockson says. 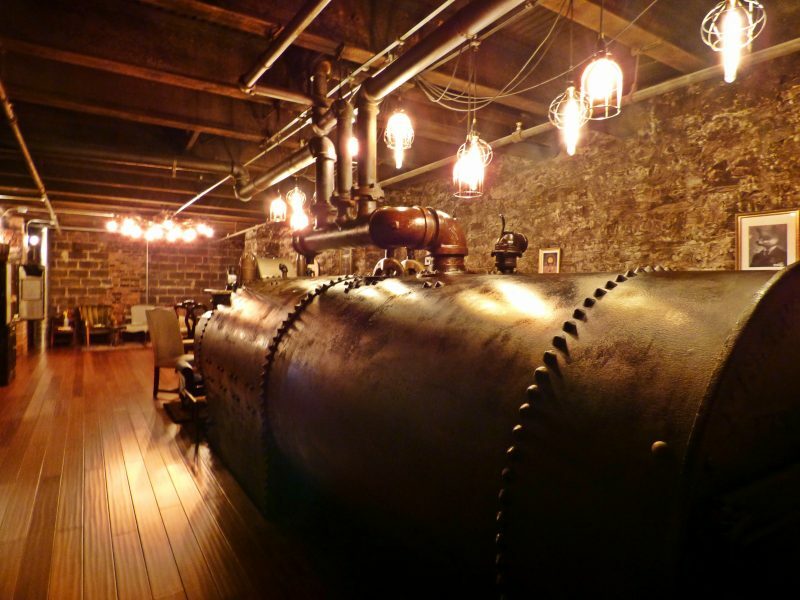 Of course, they also have a dedication to providing a quality, unique product—everything from the ice, the local spirits, the art of making a drink, to the masterfully made cocktails—but Cockson reiterates that the atmosphere or drinks are not what it’s about. Her brand is protecting the environment for the people. It takes some searching on your first visit. The street address is on the building, but the door there is not where you’ll find the bar. You’ll need to walk through an alley to find the entrance. Then once inside you’ll traverse old steps down to a waiting room. 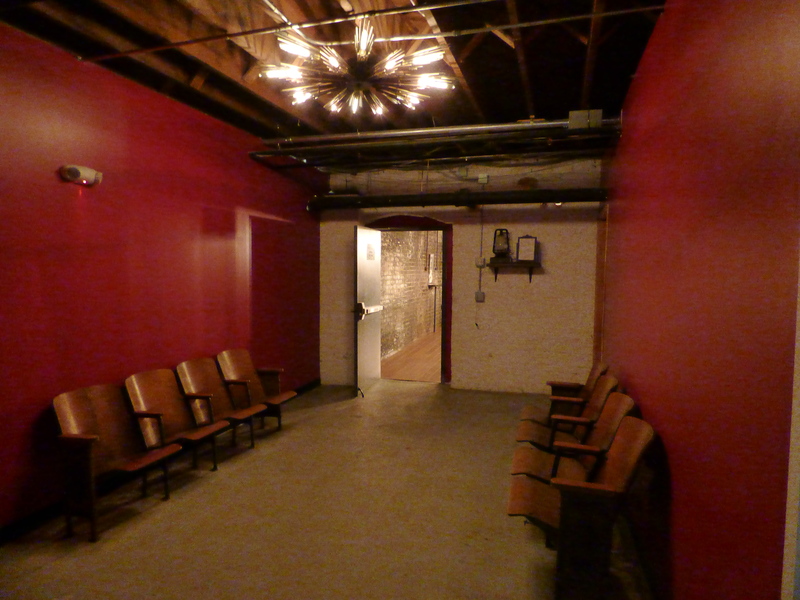 The waiting room has a few chairs and lights above the door. If the light is green you can come in; if it’s red, they’re at occupancy and you’ll have to wait. 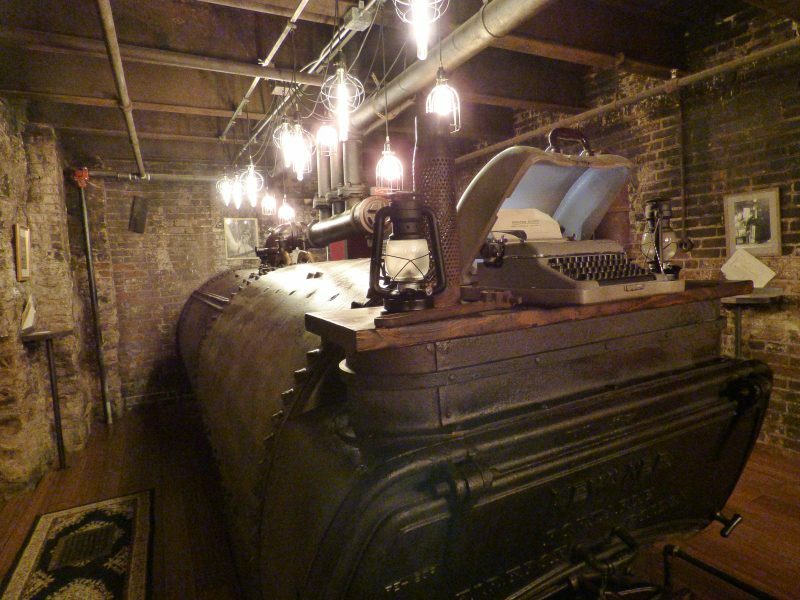 Once inside, the huge boiler is the focal point. Then you’ll find the small bar. Gender-neutral restrooms (with no mirrors on the walls) are down a short hall. 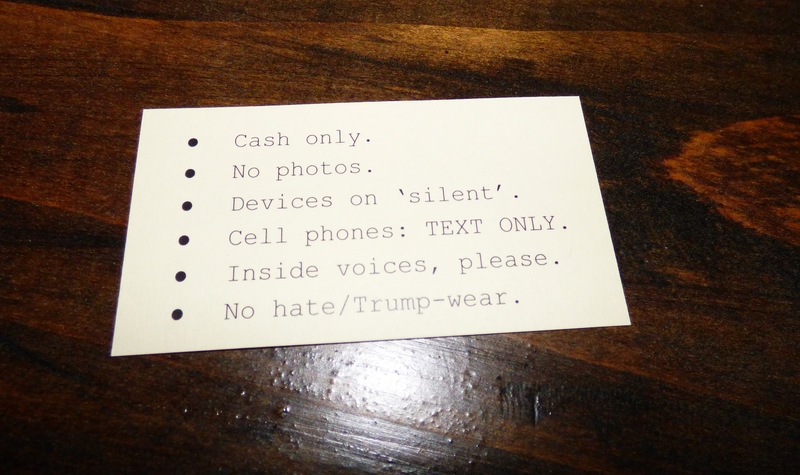 Before you order your first drink, though, you’ll want to read the rules. Cash only. No photos. Devices on “silent.” Cell phones: TEXT ONLY. Inside voices, please. And, no hate- or Trump-wear. Cockson custom-creates the menu and drink choices are limited to what she creates. Take some time to peruse the menu because these are not run-of-mill cocktails. They’re created at a slow pace and should be enjoyed in the same manner. She chooses her spirits based on the company’s business practices. Cockson says there’s one Rum company she won’t use because of the items they put into the ocean. She sources locally as much as possible, but won’t compromise quality to keep it local. Every bottle is custom-picked to her criteria. When asked about her strict rules, Cockson says, “This isn’t going to be the bar for everybody. But the people who do come in appreciate that we’re taking a stance. We’re saying if you don’t have respect for everyone in the room, then this isn’t your place. Cockson says she lucked into finding the location in a synchronistic manner. “It’s a completely weird serendipity story. I was familiar with Kansas City but a lot had changed since I lived here. I had been coming back and forth scoping locations. On my way back to Lincoln one day, I stopped at a gas station and I saw this guy at the station and his face sort of registered with me that he’s not from Nebraska. “Later on that night the same guy came into The Other Room when I was working there. Like me, he had also been driving from Kansas City to Lincoln. When he came up to the bar to order I said, ‘Hey, I saw you in Nebraska City today.’ That kinda weirded him out a little bit. But as it turned out he was an architect from Kansas City in town judging an architecture competition. He loved The Other Room and the space. When I told him I was looking to potentially replicate it in Kansas City, he immediately was excited. “‘I’m working with people about their properties, let me show you some spaces.’ He showed me a different part of this building first, it was kind of a boring part of the basement, but a couple weeks later he called me back and said, ‘Hey, we realized there’s an old boiler room in that building.’ It was actually a space he didn’t even realize existed. Originally, it was supposed to be boarded up and walled off. He asked if I’d like to come take a look. If you’d like to step back in time and experience history, you can learn more about Swordfish Tom’s on Facebook.